On August 20, 2015, Justice Julia I. Rodriguez in the Bronx County Supreme Court granted the defendants’ motions and dismissed Plaintiff’s complaint in its entirety. A copy of the decision can be found here. Defendant ESPN, New York Yankees, Shulman, and Kruk (the “ESPN/Yankees”) now move to dismiss the complaint, pursuant to CPLR 3211(a)(1) and 3211(a)(7). Defendant MLB Advanced Media also moves to dismiss the complaint . . . In support of their motion, ESPN/Yankees submitted two CDs – one contains the entire telecast and teh other contains only the portion of the telecast at issue. MLBAM also submitted two CDs – one contains the excerpt posted on MLB.com and the other contains the excerpt posted on YouTube. The Court reviewed all of the CDs. The statements made by Shulmand and/or Kruk concerning the Plaintiff . . . were made during the course of a 1 minute and 20 second period of time. The camera turned to Plaintiff three times during that time period and the plaintiff was on camera for a total of 31 seconds. The camera turned to other spectators shortly before turning to the plaintiff. The game lasted approximately three hours. The CDs conclusively establish that none of the defendants made any of the statements attributed to them in the complaint. In fact, the plaintiff’s own submissions reflect that all of the statements alleged in the complaint were made by private individuals on websites not hosted or maintained by any of the defendants herein. And, in the Court’s view, none of hte comments actually made by the announcers is defamatory. Notably, nothing said by either of them could be considered a false statement which is a necessary element of a defamation action. 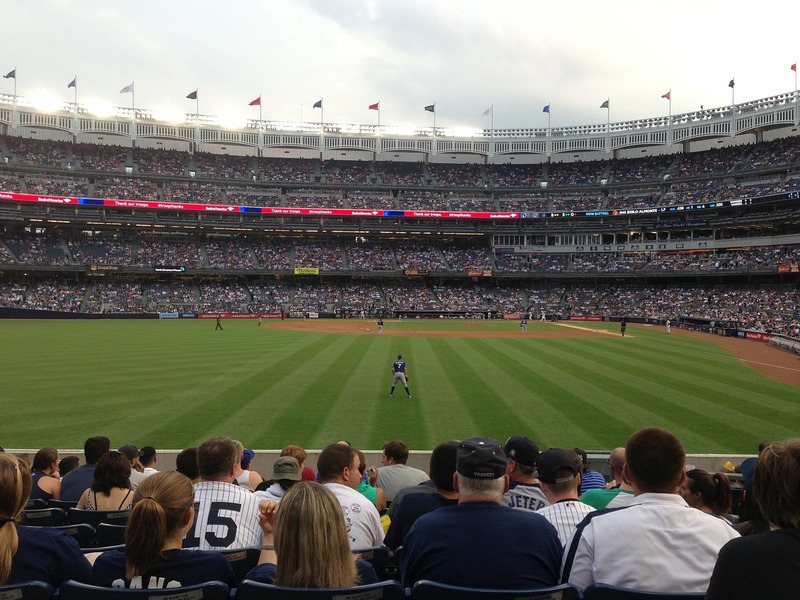 Nor was ESPN/Yankees’ depiction of the plaintiff at the game along with other spectators unauthorized. Indeed, it is a common practice during baseball games and other public sporting events to depict spectators on camera. At worst, the announcers’ comments might be considered to be loose, figurative, or hyperbolic statements which are not actionable. Since the MLBAM simply posted the excerpted portion of the Telecast discussed above, no defamatory statements are attributable to MLBAM. While in opposition papers, Plaintiff argues that the defendants “set the stage” for others to comment and defame plaintiff, the court has not found nor has plaintiff cited to any legal authority upon which any of the defendants may be held liable for plaintiff’s alleged injuries. Indeed, it is axiomatic that a defendant cannot be held liable for a libelous or defamatory statement that it did not write or publish. Nor do any of the defendants owe a duty to Plaintiff to protect him from the alleged defamatory statements. Ultimately, Plaintiff sought to hold MLB, the Yankees, and ESPN liable for comments and statements made by third-parties who were reacting to the clips of Mr. Rector sleeping in the stands. This contention simply is not legally supportable.